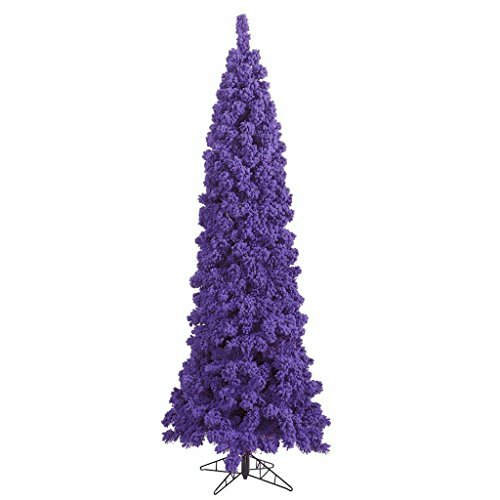 You may think that buying a purple Christmas tree for the end of year holiday season is somewhat crazy but it is also very trendy. If you take a look at the trends in Yuletide decorations these days, you are going to realize that unusual colors are highly popular among people. 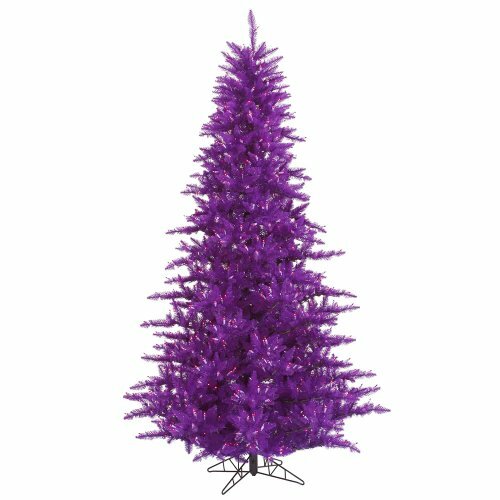 Buying a purple Christmas tree might be somewhat a step out of your comfort zone. However, it doesn’t mean giving up your traditions. Instead, it is a step towards a unique way to decorate for the holidays. You might even end up keeping that color for years to come. Holiday trees are not just confined to green any more. 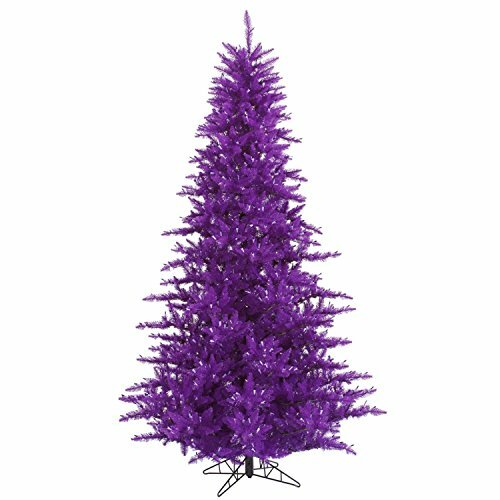 As a matter of fact, todays trends lead people to buying purple Christmas trees, a new unique tendency in holiday decorating. More and more people are embracing that kind of items rather than a typical traditional green tree. Purple is believed to be a color hard to match. 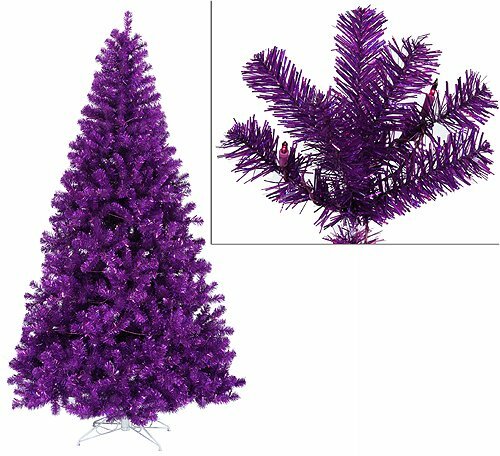 For that reason I searched for trees and purple tree ornaments that would blend perfectly. So, if you are considering the possibility to get such a colored item in the house but don’t know how to decorate it, I recommend a visit to that page too. 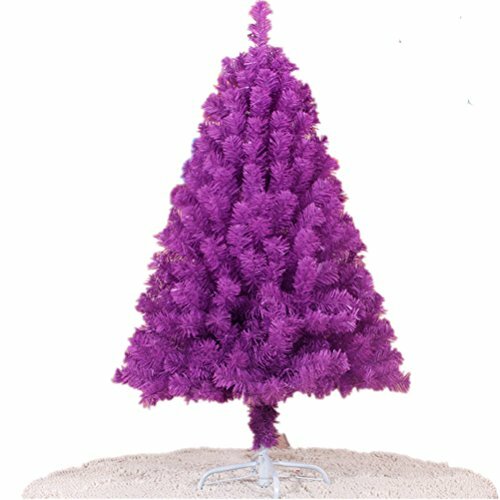 Here are the different shades and models for your next purple Christmas tree that you can choose from. 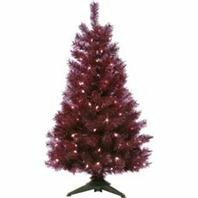 The joy of having a sparkling purple Christmas tree as focal point in the living room. 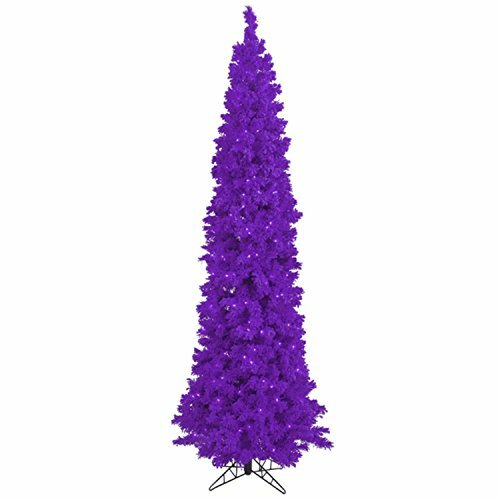 Here’s a tall dark purple Christmas tree, that has a very classy look and can make your room stand out this holiday season. 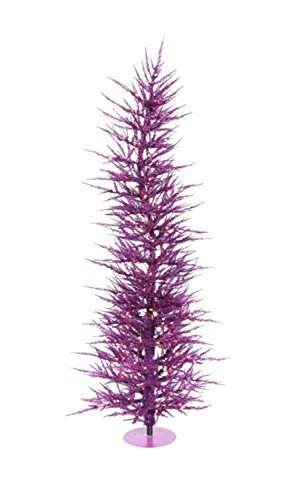 This 8 feet artificial fir-tree comes with 600 purple lights which will provide the tree with a splendid sparkling effect right from the start and before you start decorating it! The shade of purple is quite dark; which makes the tree look like velvet. In my opinion, this would make a very elegant ornament in the living room. The diameter of the base is 53 inches and the tree comes with 1673 tips and a metal tree stand. Made out of 5 pieces easy to assemble (including stand). 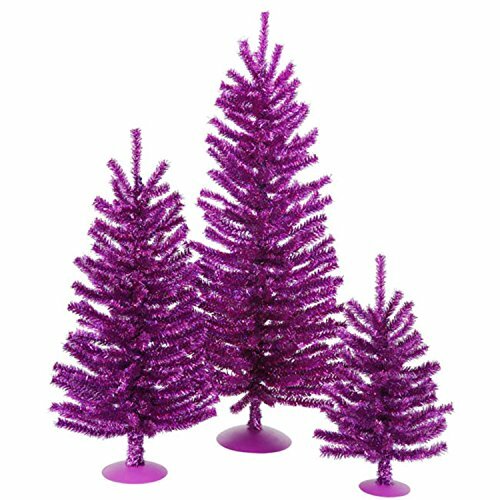 Pre-lit purple Christmas trees come in different sizes, from the small tabletop ornament to the large and tall one. Also they are declined in a range of different shades, from lavender to dark purple. And you’ll be amazed with the different models: pen size, whimsical tree and more. Did you know that a fusion of traditional and modern together can create a stylish color scheme? A trend which we see so often now, for the purpose of decoration on Christmas, is decorating your Christmas tree with various colors. A color that we see more often than others is… purple. And this trendy color doesn’t just affect ornaments: there are also some really beautiful trees available on the market. 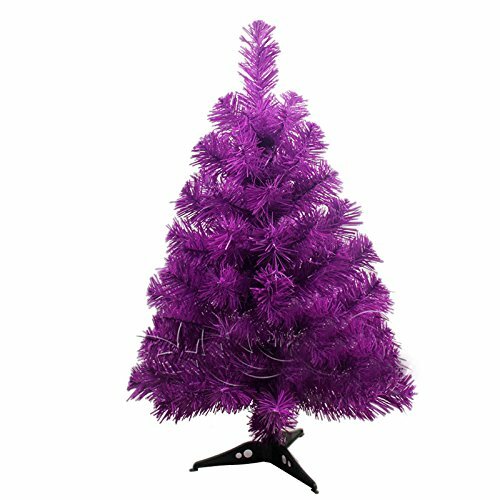 There are different ways to decorate a purple Christmas tree; which all provide it with a specific aspect: from a tried and true combo of red and green color with touches of gold for some extra sparkle to create a more formal Christmas-y look to a monochrome decoration theme with shiny finishes that will give your purple tree a very elegant appearance. 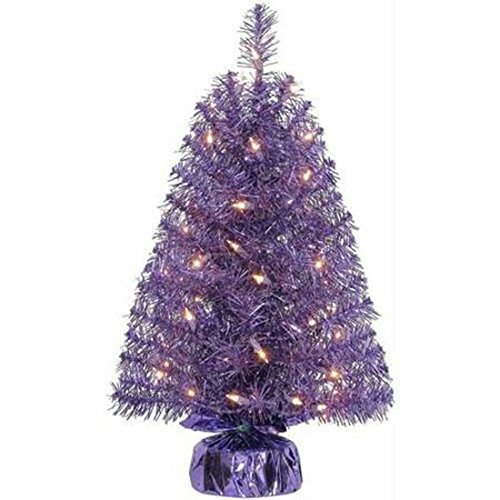 Now you may also prefer to choose a unlit purple Christmas tree and decorate it with your very own string lights. And it’s a good option. Here as well you can find different models and styles along with gradients of colors. 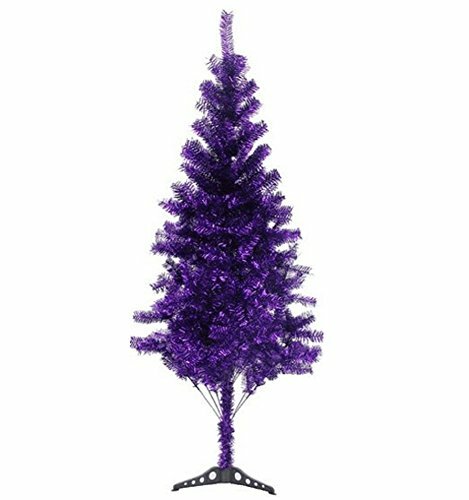 Everyone doesn’t like dark purple or doesn’t have a very large living room to place their gigantic tree. In reality, this is not a problem… Stores have a lot of such trees that will match everyone’s house and taste. If you don’t like dark colors, you will want to opt for a lighter tone and select a lighter toned holiday tree to which you can add monochrome ornaments. For those who wish to get an unusual tree, a whimsical Christmas tree will work wonders. If there isn’t enough place in the living room for a wide one, then opt for a less wide one such as a violet tree that comes with a base of 39 inches and leaves some space around the tree in tiny rooms. 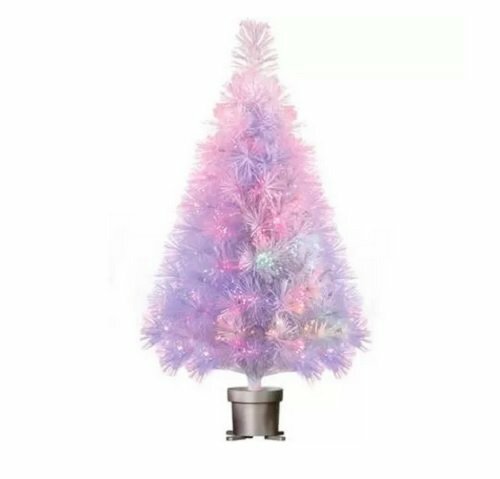 Another idea would be getting a slim pale purple tree which base doesn’t exceed 35″ diam and which pale color allows a dark purple monochrome decor. 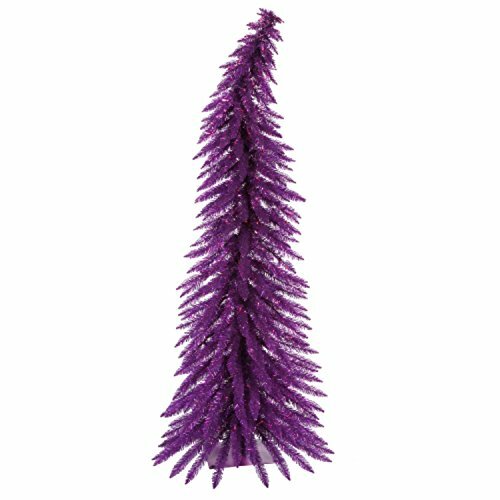 Tagged choosing a christmas tree, christmas decorating ideas, christmas decorations, christmas ornaments, christmas tree ideas, holiday decorating ideas, holiday decorations, Purple Christmas Tree, purple decorations.